Paul Bailey was born today, February 16, in 1937. He is a British novelist and critic, as well as a biographer of Quentin Crisp. Bailey grew up in London and won a scholarship to the Central School of Speech and Drama in 1953. He worked as an actor between 1956 and 1964. He became a freelance writer in 1967. He was appointed Literary Fellow at Newcastle and Durham Universities (1972–74), and was awarded a Bicentennial Fellowship in 1976, enabling him to travel to the USA, where he was Visiting Lecturer in English Literature at the North Dakota State University (1977–79). He was awarded the E. M. Forster Award in 1974 and in 1978 he won the George Orwell Prize for his essay "The Limitations of Despair," first published in The Listener magazine. Bailey was elected a Fellow of the Royal Society of Literature in 1999. 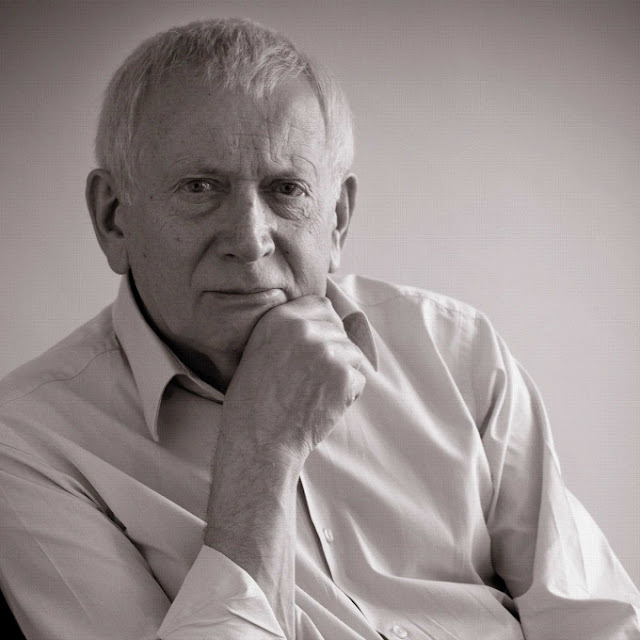 Paul Bailey's novels include At The Jerusalem (1967), which is set in an old people's home, and which won a Somerset Maugham Award and an Arts Council Writers' Award; Peter Smart's Confessions (1977) and Gabriel's Lament (1986), both shortlisted for the Booker Prize for Fiction; and Sugar Cane (1993), a sequel to Gabriel's Lament. Kitty and Virgil (1998) is the story of the relationship between an Englishwoman and an exiled Romanian poet. In Uncle Rudolf (2002), the narrator looks back on his colourful life and his rescue as a young boy from a likely death in fascist Romania, by his uncle, a gifted lyric tenor and the novel's eponymous hero. His biography of Quentin Crisp from 2002 was called The Stately Homo, which included contributions from friends, admirers, and critics. Bailey wrote about Crisp's various careers—as a performer, artist's model, writer of a memorable autobiography, and authority on style and etiquette—with wit, affection, and disinterested criticism. In his book Chapman's Odyssey (2011), the main character, Harry Chapman, in morphine-induced delirium, encounters characters from literature, writers, deceased friends and family members as he lies seriously ill in a London hospital. Despite his melancholy and fear, Harry entertains the nurses with recitations of some of the favorite poems he has memorized in a lifetime of reading. Bailey's latest book is The Prince's Boy (2014), a melancholic gay love story that spans four decades. Bailey has also written plays for radio and television: At Cousin Henry's was broadcast in 1964 and his adaptation of Joe Ackerley's We Think the World of You was televised in 1980. His non-fiction books include a volume of memoir, entitled An Immaculate Mistake: Scenes from Childhood and Beyond (1990), and Three Queer Lives: An Alternative Biography of Naomi Jacob, Fred Barnes and Arthur Marshall (2001), a biography of three gay popular entertainers from the twentieth century. At age 81, Bailey is still writing. Click here to see his current review of the London version of the musical, Hamilton, for the UK magazine, The Oldie.